2019 will mark the 49th year of competition for the Mubadala Silicon Valley Classic, making the event the longest-running women-only tennis tournament in the world. The Mubadala Silicon Valley Classic is proud to be the opening women's stop on the US Open Series, which begins after Wimbledon and concludes with the US Open. First played in 1971, the Mubadala Silicon Valley Classic is in its 48th year and is the longest-running women-only professional tennis tournament in the world. 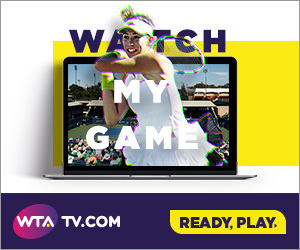 Owned and operated by IMG, the WTA Premier event features a 28-player singles draw and a 16-team doubles draw with total prize money of $799,280. Held on the campus of San Jose State University, former champions include: Billie Jean King, Chris Evert, Martina Navratilova, Andrea Jaeger, Monica Seles, Martina Hingis, Lindsay Davenport, Serena Williams, Venus Williams and Kim Clijsters. The Mubadala Silicon Valley Classic is the longest-running women-only professional tennis tournament in the world and is the first women's stop of the US Open Series. Owned and operated by IMG, the WTA Premier event features a 28-player singles draw and a 16-team doubles draw with total prize money of $799,280. Held on the campus of San Jose State University, former champions include: Billie Jean King, Chris Evert, Martina Navratilova, Andrea Jaeger, Monica Seles, Martina Hingis, Lindsay Davenport, Serena Williams, Venus Williams and Kim Clijsters.